The Ironman iMove Gen2 AS – Wear-resistant Wherever It Goes. 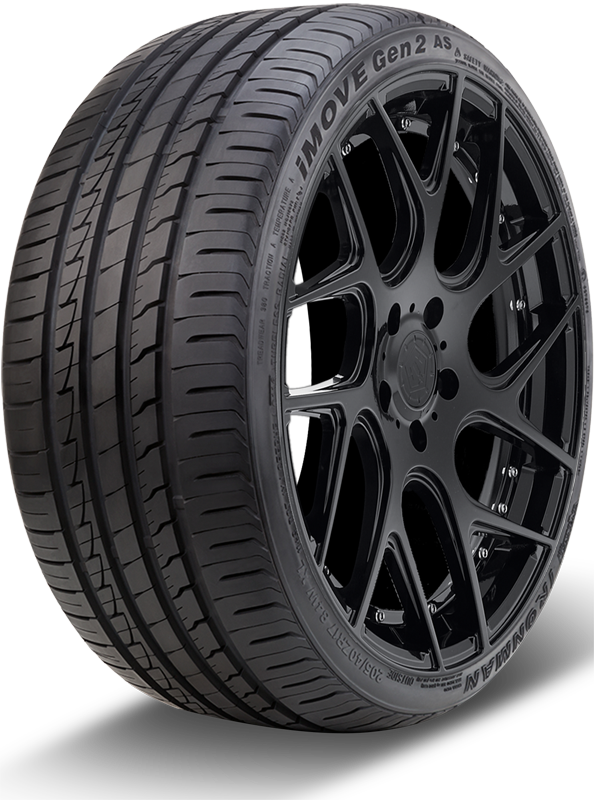 Built using a next generation wear-resistant compound and featuring an advanced pressure distribution concept, the M+S rated iMove Gen2 AS provides even wear, longer tread life and all-season reliability. With circumferential and longitudinal grooves, this tire allows for excellent responsiveness in wet conditions by maximizing water evacuation to minimize the risk of hydroplaning. In a market that demands economically priced tires, the iMove Gen2 AS delivers with exceptional quality and appealing aesthetics with an impressive line-up covering a wide range of wheel diameters. Enhanced tread block geometry and siping placement improves grip and minimizes road noise. Circumferential and longitudinal grooves maximize water evacuation to minimize hydroplane risk. Asymmetric tread design provides enhanced traction and responsive handling in wet and dry conditions. Wear-resistant compound enhances durability for extended tread life. Backed by a 60-month Limited Protection Policy covering defects in workmanship and materials. Covered by our industry-leading Road Hazard Protection Program, which provides replacement for up to two years or the first 50% of tread life. *Valid in the US and Canada only. See the Ironman Limited Protection Policy for complete details and exclusions.